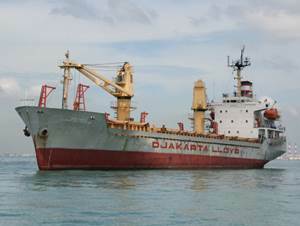 PT Djakarta Lloyd (Persero) - Djakarta Lloyd is an Indonesian state-owned shipping company headquartered in Jakarta. The Company operates primarily as a shipping line and logistic services provider. Djakarta Lloyd is fully-owned by the Government of Indonesia. According to Djakarta Lloyd's company profile as cited by JobsCDC.com, the Company was first established in 1950 as Namlore Venoschap (N.V.) Djakarta Lloyd in Tegal Central Java and initially started with 2 steamship units, namely SS Great Britain and SS Djatinegara. Later in 1961, the Company renamed into Perusahaan Negara Djakarta Lloyd. The name of PT Djakarta Lloyd (Persero) officially launched in 1974. At present, Djakarta Lloyd runs its business through 10 branch offices; Tanjung Priok Jakarta, Semarang, Bitung, Tarakan, Sibolga, Banyuwangi, Panjang Lampung, Surabaya, Benoa and Cigading Banten. Fluent in English oral and written is preferred. Possess certification in ANT 1. Experience in handling DOC and SMC. Experience in the field of SHE. Strong understanding of Ship Management. Possess certification in ATT 2 or ATT 1. Experience as Superintendent in Bulker / Tanker Ship, preferably in LNG. Strong understanding about the PMS system and ship budget. JobsCDC.com now available on android device. Download now on Google Play here. Please be aware of recruitment fraud. The entire stage of this selection process is free of charge. PT Djakarta Lloyd (Persero) - Staff, Manager, Senior Manager Djakarta Lloyd March 2017 will never ask for fees or upfront payments for any purposes during the recruitment process such as transportation and accommodation.